ZealCon uPVC Windows & Doors, a pioneer manufacturer of uPVC double glazed windows and doors in Pakistan is serving the construction industry since 2002 through its premium quality and vast product variety. The supplies are imported from China and Turkey and meticulously fabricated by technical staff in Pakistan. The company is duly certified by ISO 9001:2015 and led by a team of professionals having great experience and exposure of the construction industry. The team’s unmatched talent, professionalism and dedication is the motive to its success and individuality. ZealCon uPVC Windows & Doors aims to achieve excellence thru its exceptional product range and superlative on-site services including free consultation, site measurement, logistic support and product installation. 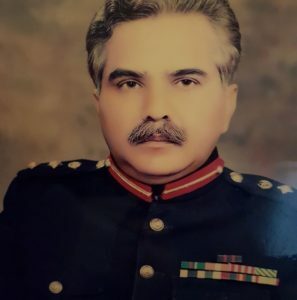 “As a responsible Senior Pakistan Army Official and an Environmental Engineer, the deteriorating environment and energy crisis issue was a great concern to me which I deemed an approaching threat to the wellbeing of our future generations. So, I diverted my resources towards researching a solution that would help save the future of our country. Dedicated at bringing a positive change in Pakistan, the innovation of double glazed uPVC Windows & Doors highly inspired me and wheeled an idea to introduce it in Pakistan. ZealCon uPVC Windows & Doors established in 2002, offers European standard uPVC products to businesses and locals in Pakistan for their visionary construction projects. Customer satisfaction is our priority; and we take pride in providing hand-picked, modern, wide-range, and versatile product range to our valued clients. Our products are environmental-friendly, noise-proof, energy-savers, highly durable, cost-effective, professionally designed and duly tested at many hierarchies ensuring unmatched quality.